NEW TIKI BAR IN TOWN! Catch the Mahalo vibes! Experience Pops Bar turning into a Tiki Bar every Monday Night from 8pm to close. With $10 Tiki inspired cocktails such as Mai Tais, Blue Hawaiians and Lava Flows you’ll soon be saying Aloha to Mondays. After all, time flies when you’re having rum! 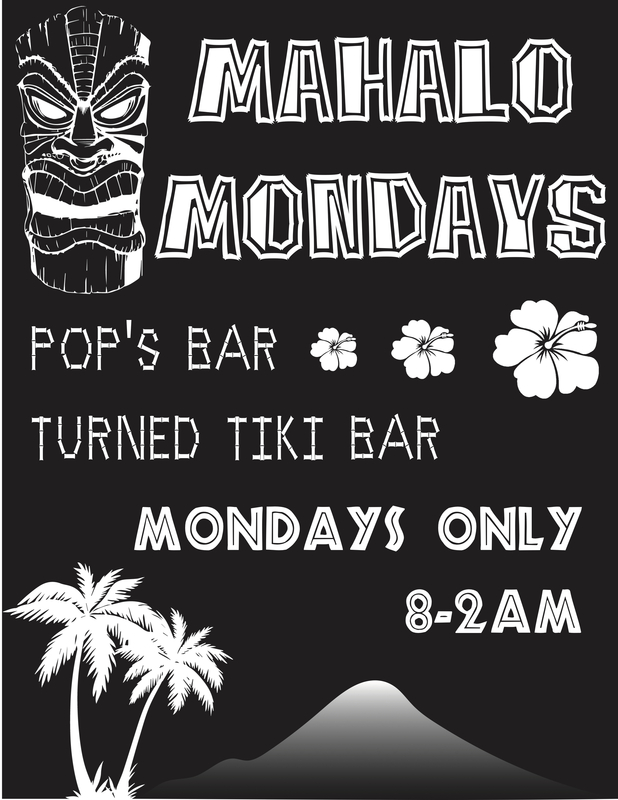 8pm-2am Every Monday watch Pops Bar get it’s Tiki on! Enjoy $10 Mai Tais, Blue Hawaiians, Shred Sticks, Thrashin Passions & Lava Flows. No Cover. Rotating DJs from local BFF.fm radio! Join us for a night of post-punk, power pop, new wave, and other time- and genre-adjacent tunes. Cold beers, cool people, rad musics.